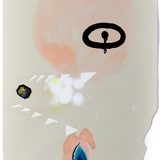 Amy Sackstederâ€™s artwork is rooted in painting and drawing, but also delves into installation and time-based media. 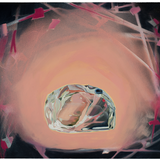 Her work, which engages transienceâ€”often using landscape and natural imageryâ€”has been sited on contemporary art websites and published in journals such as New American Paintings (Volume 77). 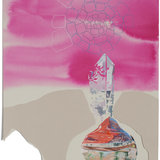 Sacksteder’s work has been featured in solo and group exhibitions nationally and internationally at many university galleries, and at venues such as Threewalls (Chicago, Illinois); The Urban Institute for Contemporary Art (Grand Rapids, Michigan); Champion Contemporary (Austin, Texas); the Drawing Room (Budapest, Hungary); and SÃM Gallery (ReykjavÃ­k, Iceland). She has attended artist residencies in Illinois, Newfoundland, Southern France, Philadelphia, Budapest, Reno, ReykjavÃ­k and Berlin. Her recent drawings are featured in the Drawing Center’s online Artist Registry and Viewing Program. In 2011 Amy Sacksteder and EMU Gallery Director Gerg Tom co-curated the international exhibition Island: 22 Artists on Iceland at Eastern Michigan University and ’CAVE Gallery in Detroit. Sacksteder received her BA in English from the University of Dayton in 2001 and her MFA in painting from Northern Illinois University in 2004. She began teaching at EMU in 2006 and is currently an Associate Professor teaching Foundations, Drawing and Painting. â€œAn odd thing, souvenir-hunting: now becomes then even while it is still now. My paintings, drawings, and installations embody the inability to convey the significance of an event or the impact of a place. Therefore I think the actual content of the work resides in the attempt, the tryingâ€”often futilelyâ€”to communicate meaning. The work draws upon the traditions of landscape painting and natural science illustration, and incorporates the visual language of maps, diagrams, and artifacts, as a way of exploring our connectionâ€”many times via objectsâ€”to specific places and occurrences. Compelled by the variety of ideas about and human interactions with the land and landscape, I begin to investigate personal and universal significance of place. I often focus on the idea of object as souvenir. Although the act of choosing a souvenir is usually individual, the adoption of souvenirs (and/or imbuing an object with significance of some sort) is universal across time and cultures. I find that certain objects, such as elements of detritus or those found in nature, are the lowest common denominator since they cost nothing and are easily found. They are also items to which I am personally attracted and which I have been collecting and arranging throughout my life. My drawings and paintings engage both the idea of the souvenir (those objects we take away to commemorate an experience: stones, sea glass, preserved plantlife, etc.) along with the idea of the artifact (those markers we leave behind in order to communicate something, sometimes just a gesture of our passing presence: stone cairns, spray painted directives, grafittied tags, etc.). I find many of the objects and images depicted while running and exploring, whether locally or while traveling. Expanding the notion of the souvenir to snippets from photographs, even images from existing artwork seen in galleries and museums, I use these elements as a starting point for study and contemplation, and plan compositions around them. In installations, Iâ€™m most interested in the ways in which the paintings, drawings on paper, their silver-leafed cut-outs, painted flora, reflective surfaces, and light can all interact and create a larger conversation between object and atmosphere, between the taken and the left. As humans generally conflate places, experiences, even dreams in our memories, with my installations Iâ€™m hoping to create spaces in which such jumbled significance is a felt presence. These fluid processes of investigation and making strike both a balance and a tension between inward and outward looking selves. I find that the resulting work is essentially diaristicâ€”involving a fracturing of place and timeâ€”taking pieces of experience and reassembling them into new, conflated impressions and narratives.